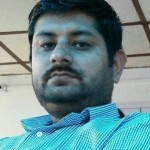 I am Amit Verma and I am passionate to provide support services to startups* and existing businesses. I have 17 years experience in technology sectors which includes 13 years Entrepreneurial experience in several business verticals (including IT, ITES, Electronics, Manufacturing, Telecom VAS & Health) which can help any business to grow. You can visit my linkedin profile (add me on linkedin) to know more in details. Our business consulting company based in Himachal Pradesh (India) is dedicated to startups and existing businesses. We have started virtual incubator which will help several startup companies. Successful organizations, Industry bodies, Any Technical Solutions company, Business Development Companies (for Marketing entry strategy) Mentors & Angel Investors are welcome to be a part of our initiative to make this Entrepreneurial venture successful across sectors. *Startup: A startup is an entrepreneurial venture which is typically a newly emerged business that aims to disrupt existing markets by developing an innovative product, process or service. It is technology oriented, scalable and has high growth potential.